One thing I find moving about some older people – grandparents especially but increasingly even people who are only in their 50s or 60s – is how convinced they are that no one from my generation knows or cares about what life was like when they were young. I'm not talking here about Golden Ageism, about elders who declare that everything was so much better in their day; quite the contrary, my grandparents are so awed by things like the Internet, iPods, even laptops and digicams, and so conscious of their own lack of understanding of these things, that they never dare to say anything bad about modern-day technology. What I'm talking about is more wistful and vulnerable. It's a feeling that a lot of older people seem to share – that with the world changing so rapidly, the past is becoming irrelevant and so are they. Personally, I manage to relate to a lot of my grandparents’ reminiscences because much of it ties in with my interest in 20th century history – and of course the reading habit. And I see immense surprise on their faces when they start talking about the old days and realise that I actually know enough to participate in the conversation. Small example: both my grandmothers spent years in Lahore before Partition, and their eyes light up when I nod along or complete sentences for them (having read books like the ones by Bhisham Sahni and Pran Neville, and the recent Bapsi Sidhwa anthology). "How do you know about that?" they ask, and the expression of wonder is truly childlike. It's almost like they had believed that all knowledge of the world as it used to be would vanish when they passed on. My nani told me about her old Urdu books recently, some of which she still has with her, though they are torn and fading – she spoke of them in the fond but resigned tone people reserve for something that means a lot to them but that no one else could possibly be interested in. It was startling (and, I hope, reassuring) for her to learn that I have friends who have studied the language and are interested in rare books from the past, and that I might be able to pass them on to people who can appreciate them - thus keeping them alive, so to speak, after she’s gone. Hell, at a whole other level, even my dad was surprised when I offered to lend him DVDs of old concerts – Woodstock, Jethro Tull, The Yardbirds etc – the day he bought a DVD player. In him and in others of his generation, I see a different, more aggressive brand of vulnerability - an almost proprietorial attitude to the past, a defensiveness born of the belief that today’s youngsters are just too sure of themselves and contemptuous of times gone by. It’s a bit depressing to think that there might be a basis for these fears - that many youngsters are indeed dismissive of, even callous towards, the old; that the Hindi-movie cliché of "Dadi ma, yeh toh purane zamaane ki baatein hain" is grounded in real life. P.S. In a lighter vein, one of the first times I became conscious of this phenomenon was while working at Encyclopaedia Britannica a few years ago. A middle-aged lady (she couldn't have been more than 48-50) was on the copy desk with me and one day, while we were tracking changes on a cinema-related article together, she suddenly started talking about the mid-1960s, specifically about actresses like Jane Fonda and Julie Christie. After going on for a while, she snapped out of her reverie and laughed self-consciously. "Why am I saying all this to you?" she said. "It's all so far before your time." She giggled uncertainly, then realised I was serious and regarded me with a worried expression for a while afterwards, like she was afraid I might attack her with a curtain rod or something. But subsequently we had some nice conversations about the good old days, including Hindi cinema of the 1950s (it was always a source of immense surprise to her that a born-yesterday twerp could actually have opinions on Dev Anand and Dilip Kumar and so on, instead of just dismissing them as old fogeys from another world). However, she did find it hard to catch up when I got started on Paul Muni, Spencer Tracy, Carole Lombard etc – they were so much before her time. You are so right...their times and our times... its just not the same. I still remember my brother downloading a song by Doobie Brothers for my mom thru Napster and she was absolutely thrilled. On the other hand, my grandad who is 89 bought a computer two years back...so one never really knows. Lovely post. Look forward to it everyday. this is a well written post.. its a little different for me. my sense of history comes from my grandparents. They were all young then.. and crossing the border.. what i have inherited is their combined scars..
For me it's the more quotidian things that are hard to imagine. I mean I know way more than my parents about the rock and jazz music scene in the 60's when they were teenagers than they do themselves, but it's the everyday details that constantly surprise me. How difficult it was to get colour prints developed, what life was like without TV - that kind of stuff. Having said that, it's also scary sometimes to find out how much like us they were. My dad's obsession with his LP collection, my mom's stories about wearing tight tank tops to college and cutting class to sneak of with some boy. The more things change, etc. I think this has to do with changes of significance for things in our lives. For example, we are fascinated by the candy floss when we are young. When we grow older, the fasination ceases to exist. Another child in another era could have been fascinated by the cell phone when he was small. As we grow older, we get fascinated/startled by different and fewer things and most stuff do not interest as much. You have had your share of smaller excitements and go for deeper stuff than merely technological gadgets and such like. Of course that is a generalisation and I know a 50 plus person who is more gadget savvy than I am. There's a couple here in Melbourne, in their early 50s, who having lived here for over 30 years, are, so to speak, stuck in a time warp. They have no information of India between the 60s to early this century. They come to our place and are shocked when I put on a CD of Talat Mahmood or discuss Guru Dutt with them. They think we're too young for this stuff. Ummm ... you don't really have to be a grandparent for that feeling, you know. Or perhaps when we next meet you can call me "Gramps". totally unrelated to the theme of the post and the comments thereafter. this has to do with the last line of your post. spencer tracy and lombard. do u also have a wealth of material on the one person that they both doted on -- clark gable? and i hope u view him favourably. That was a wonderful post. Of late, I have sensed that my father feels exactly this way. Which makes me very sad. And helpless. On another level, I find that I am fascinated by old movies, preferably black & white, old songs, Hindi and Hollywood, while my parents get incredibly restive and remote-happy if they have to watch them. They love to watch the candy-coloured naach-gaana of today's movies. I hated the new Mughal-e-Aazam, my mom loved it. This is all very nice. But I think you are an exception. The majority of Indian youth do not know the who Dilip and Dev are to begin with. Lovely article, and I so relate to it. I am a fan of all sorts of movies, and love watching hollywood/world/hindi films all the way from the 1920s. 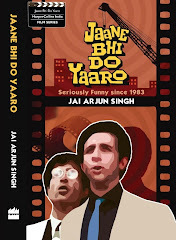 So when talking to an older person results in him saying "you young people wouldn't know how crazy people were for DK, RK, and DA in the 50s", it is fun to retort back with a detailed chronology of their films including tidbits about what issues were faced by filmmakers when casting DK and DA together for Baarish, casting choices for Naya Daur, etc. and then take it up a notch by bringing up Fearless Nadia and Devika Rani or D.W.Griffith :).